in the fall of 2016, thegreenrock.ca in collaboration with the Junior Forest Wardens NL launched a #playoutdoors awareness campaign to get people outdoors and start new Junior Forest Warden NL Clubs. Junior Forest Wardens, a family-based outdoor adventure group, has been active in NL since the 1940s. numerous families have reaped the benefits of outdoor together time over the years, but numbers have been declining since the 1980s. kids these days are spending more time on screens than outdoors and that’s causing problems to their health. there’s extensive research about Nature Deficit Disorder. conversely, spending time in nature for adults, and especially for children brings the mental and physical health benefits. children experience positive social, psychological, and spiritual impacts on their personal and cognitive development. aside from the mental and physical health benefits, getting kids in nature can also have positive impacts on our environment and our communities. a study by the University of British Columbia, suggests that providing positive childhood experiences in nature, can help to develop care and awareness of the environment as adults. the Junior Forest Wardens NL is dedicated to bringing families with school-aged children together to enjoy and learn about the natural environment. together thegreenrock.ca and JFW launched a successful campaign that delivered 10 community outreach events, reached out to 17 community organizations which engaged over 50 families in the St. John’s metro area and led to the start of two new JFW Clubs: the Wild Wanderers and the Rollin’ Capelin. after all the success of the #playoutdoors thegreenrock.ca is working with JFW and other community partners to look into ways to expand the project this year. stay tuned! thegreenrock.ca is a not-for–profit company that informs and inspires people in Newfoundland and Labrador on ways to address the challenges facing our planet, our communities, and our lives. like us and share! Here is home to maple trees. Many maple trees. So many maple trees that some people, sometimes, call them weeds. They create canopies over gardens, in parks, and between sidewalks and roads. They are plentiful. In a kind of parallel format, here is home to breakfasts, brunches, and sometimes even suppers where maple syrup pours over pancakes, waffles, toutons, french toast and other delights. Most times, almost ALL the time, there is no direct relationship between the maple tree in the garden and the maple syrup on the table. Can these worlds collide? Yes! Lisa and Steve McBride – the couple who walk the goats in coats – tap. Root Cellars Rock shared their experience a few years back. And now, thanks to the Friends of Pippy Park, the rest of us can learn to tap too! Friends of Pippy Park are running a free family workshop this Sunday April 6th 2014 from 1 to 3. Meet at Pippy Park Headquarters, Mount Scio Road. • How to turn sap to syrup. Bring your own mug for hot chocolate. No charge for the workshop, but an annual family membership of $20 to Friends of Pippy Park will support initiatives like this! Newfoundland is an island in the North Atlantic at the 47th parallel. Since glaciers scraped much of the island’s fertile soil off onto the Grand Banks a long time ago, the growing was never that easy, but we managed. These days most of what we eat is not from here. Why is that? 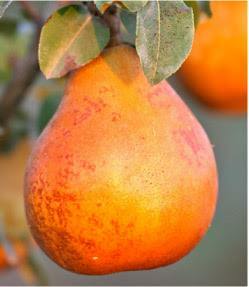 And how do the pretty pinky-orange pears and other foods come to be here? Nourish is a conversation about food and sustainability. The Nourish film looks at our relationship to food, and how it connects to biodiversity, climate change, public health, and social justice. It won lots of awards at film festivals. Cameron Diaz, Jamie Oliver, Michael Pollan and many others whose knowledge is great but celebrity is more limited are featured. Come see it! 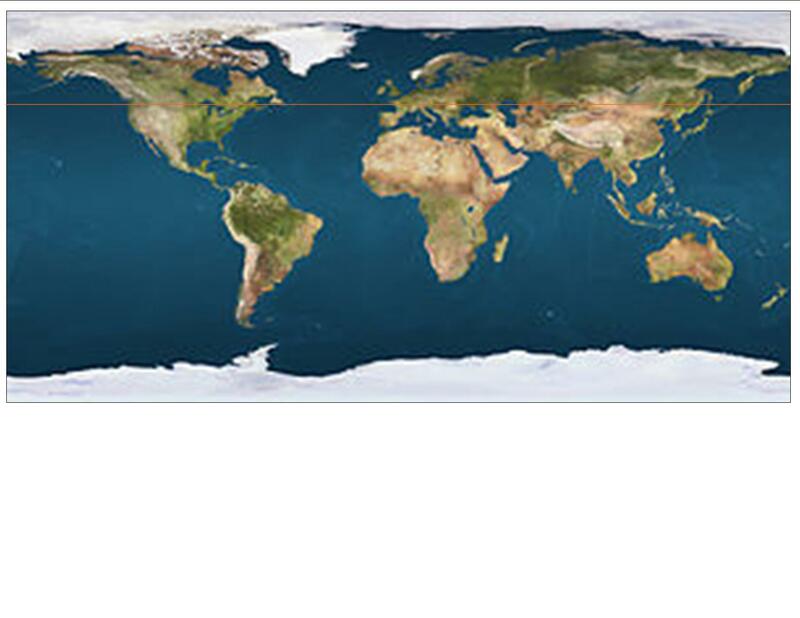 The green line shows the island of Newfoundland lining up at the 47th parallel. Like to eat great, local food? Like a good movie? Live in St. John’s metro, or willing to travel? This is for you! 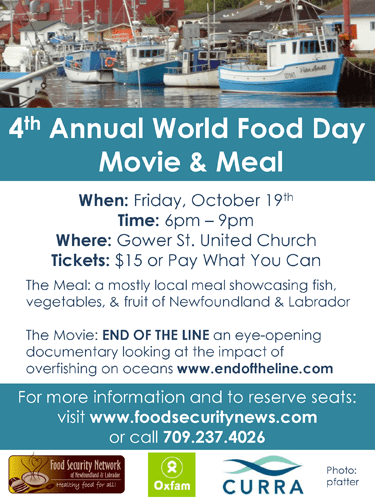 The Meal: a three-course meal made mostly of local ingredients showcasing fish, vegetables, & fruit of Newfoundland & Labrador. To reserve seats contact Rick Kelly atrichardkelly@foodsecuritynews.com or call (709) 237-4026.Vegan/vegetarian options available. made right here beef, lettuce, cupcakes, upcycled clothes and more! YES! the farmers market! carrots, pickles, handmade paper, books and so much more at the St. John’s Farmers’ Market. the people who grew it, made it/make it, or farmed it sell it live and in person! the Farmers’ Market is one of the best ways to buy close to home for food, gifts, and treats! in the summer of 2011 thegreenrock.ca Green Team did a bit of hangin’, shoppin’ and talkin’ at the Market. great stories of sustainable choices were easy to find ~ check it out! who knew? chickens live and lay right in the middle of the City! thegreenrock.ca conservation corps green team dropped by to say ‘hi’ during summer of 2011.
fair to say you’ve got to be green to get this going good – when you check out the happy chickens, check out the clothes on the line, the vegetable patch, and the stellar coop! 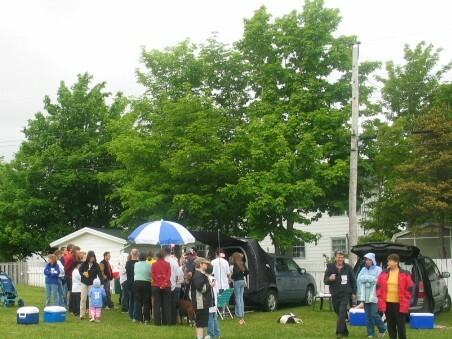 during the summer of 2011 thegreenrock.ca green team visited paradise bee farm and met beekeeper aubrey goulding. very cool guy and kind of a bee-whisperer. the team says it was fascinating ~ and according to the way mike is looking at the bees, it was all that and more! the bees do good things and good business, and it ain’t all about the honey. paradise farms bee natural products help take care of important things like hands and lips and babies. aubrey is all about the bees, and paradise farms offers workshops that teach others how to keep the bees. there will be another workshop later in the spring. call (709) 782-1435 or email info@beenatural.ca get on the list!